The Suquamish Tribal Gaming Commission was created pursuant to Title 11 of the Suquamish Tribal Code. The purpose of Section 11.5, is to govern, regulate and provide standards of the operation, conduct and playing, on Suquamish Tribal Lands any and all Class I, Class II and Class III gaming defined by the Indian Gaming Regulatory Act of 1988, 25 U.S.C. § et seq. The Commission’s goal and objective is to effectively regulate gaming activities, protect the integrity of the gaming for the Suquamish Tribe, and to protect the assets generated from gaming within the Port Madison Indian Reservation. The Enforcement Office is responsible for the protection of Employees, Guests and Tribal assets related to the gaming facility. Enforcement performs gaming investigations. 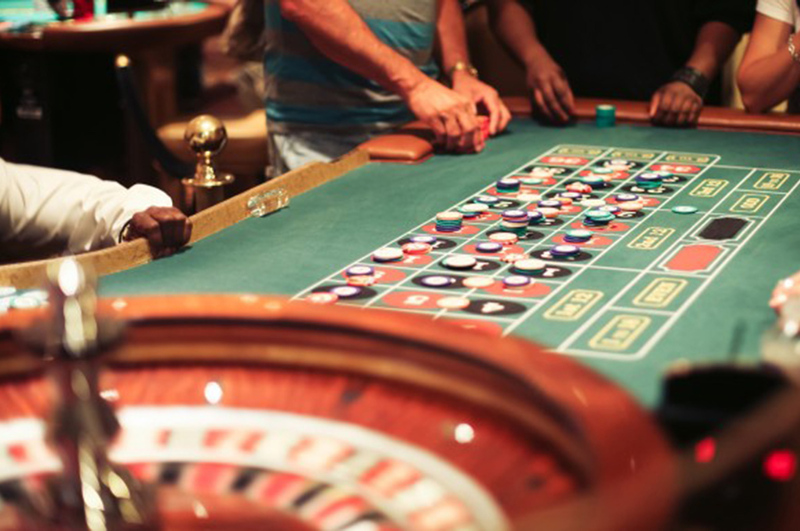 The office works hand-in-hand with local, state and federal law enforcement agencies to prosecute all individuals that violate any laws while on casino property. Enforcement also ensures compliance with all Federal, State, and Tribal Laws. The Licensing Office is responsible for conducting background investigations and licensing for all Clearwater Casino Employees. Employees need to meet the rules and regulations set by the Suquamish Tribal Gaming Code, Tribe/State Compact, NIGC, IGRA and the Suquamish Tribe. The office is also responsible for conducting back ground investigations and licensing for all vendor companies that wish to conduct business with the Suquamish gaming facility. This office is responsible for the protection of all Employees, Guests and Casino assets. Surveillance observes activities such as cash handling, player observations, Game/Dealer procedures, confrontations and much more. Surveillance works closely with law enforcement and Casino Departments to ensure the integrity of Suquamish Gaming. The Auditing Office ensures that the Suquamish Clearwater Casino is following all applicable Suquamish, State and Federal Laws regarding gaming. This is accomplished through a comprehensive audit program which involves evaluation and testing of each casino department’s compliance with Internal Controls, Minimum Internal Control Standards, Suquamish Tribal Gaming Code, Tribal-State Compact, and the Indian Gaming Regulatory Act. The Auditing Office performs in-depth review of all Casino Internal Controls submitted for approval to the Suquamish Tribal Gaming Commission. The office provides support to specific casino departments, performing oversight of game installations, upgrades, and investigations. In addition, the office provides a check and balance system to the daily financial activity of the casino through the review of daily revenue totals. The Tribal Gaming Commission is administered by an Executive Director, who has the responsibility to oversee all of the Departments of Tribal Gaming Commission. The Executive Director ensures that all Rules and Regulations pertaining to Suquamish Gaming are followed.